The average cost of LASIK surgery performed the United States in 2017 was $2,088 per eye, according to a report prepared for All About Vision by a leading vision care industry analytics company. This is slightly higher than the average price for LASIK performed in the U.S. in 2016, which was $2,059 per eye. These figures come from ongoing surveys of American ophthalmologists who routinely perform LASIK and other vision correction procedures, such as PRK, SMILE, and refractive lens exchange. The actual price you pay for LASIK surgery, however, depends on many factors, including the experience and reputation of your surgeon and the type of technology used for your procedure. Most refractive surgeons in the U.S. (77.5 percent, according to Q4 2017 survey data) charge one price for all vision correction procedures performed with an excimer laser to reshape the cornea of the eye. In other words, additional automated technology — such as use of a femtosecond laser to create the flap in the cornea for bladeless LASIK — is included in this comprehensive fee and not priced separately as an "extra." But some LASIK surgeons (18.6 percent) have variable pricing depending on the specific technology used. For example, they may charge more for all-laser LASIK or custom LASIK that employs wavefront technology for a more customized procedure. Also, some surgeons may have variable prices for LASIK and other laser surgery depending on your refractive error. For more about variables that affect LASIK costs, read How to compare laser eye surgery costs. Are cheap LASIK prices a good value? It's not unusual to see advertisements promising LASIK for less than $1,000 per eye, which may sound like a great bargain. The "bargain" LASIK price is only for the correction of mild nearsightedness. If you have farsightedness, astigmatism, or moderate to high amounts of nearsightedness, the cost of LASIK may be significantly higher than the advertised price. The offer price doesn't cover all fees. For instance, you may have only a limited number of follow-up visits, and if there's a problem, additional post-op care could cost extra. Also, the cost of enhancement/retreatment surgeries probably are not included, and you may even be charged extra for your initial consultation. Your procedure may be performed with older technology. 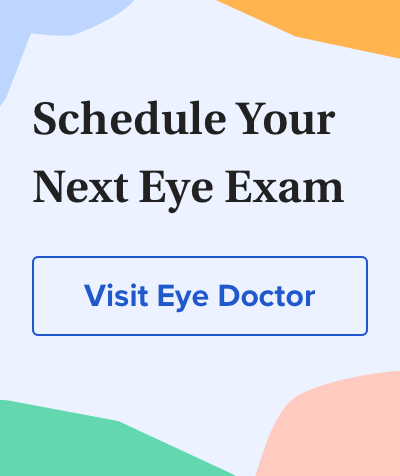 This isn't necessarily bad, but newer technologies do offer the possibility of a more precise LASIK procedure, with less risk of complications. For example, for $499 you likely won't receive custom LASIK or bladeless (all-laser) LASIK. If you're considering low-cost LASIK, make sure you get a written quote that itemizes everything in the offer. Read the fine print, and ask about all potential extra fees before going ahead with the procedure. There are a number of ways to make the cost of LASIK more affordable. Many eye care practices offer special pricing for LASIK and other vision surgeries. Examples of special pricing include zero-interest financing, limited-time offers and special group pricing. There also are financial companies that specialize in elective surgical procedures like LASIK and offer plans with fixed rates and long-term payments. Many LASIK surgery centers and private medical practices offer financing plans administered by these companies. According to 2017 survey data, 41 percent of refractive surgeons in the U.S. offered special financing and payment plans to make LASIK more affordable for their patients. Most vision insurance plans do not cover refractive surgery because insurance companies consider it cosmetic and therefore medically unnecessary. However, some employers make arrangements with a given LASIK center (or refractive surgery center) for special discounts for their employees. Also, some large employers offer subsidized health plans that cover at least part of LASIK costs. If you work for a major company, ask about possible benefits that might cover elective corrective eye surgery procedures. Flexible Spending Accounts (FSAs) are often used to pay for laser eye surgery. An FSA allows you to divert pre-tax income from your job into an account for out-of-pocket health care expenses. In 2018, the maximum employee contribution to an FSA is $2,650. So it's likely you still will have to pay a portion of your LASIK surgery by other means if you use an FSA to help pay for your procedure. Another option is to set tax-free money aside in a Health Savings Account (HSA) to pay for LASIK surgery. To be eligible for an HSA, you must be covered by a high-deductible health plan (HDHP) at work. You can add tax-free contributions to your HSA each pay period, up to an annual limit of $3,450 for individual coverage and $6,900 for family coverage (2018 limits; includes employee and employer contributions). And, unlike an FSA, any unspent money in your HSA at the end of the year "rolls over" so you can use it the following year or sometime farther in the future. So, depending on your budget, you could save enough money to pay the entire cost of your LASIK surgery by contributing money to your HSA over a period of two or more years. If you're in the U.S. military, LASIK and other corrective vision surgery options may be available to you free of charge. Your eligibility would depend at least partly on the nature of your duties. A final note: You may be tempted to choose a surgeon based only on the fee charged, but that may be unwise. It's better to choose the best surgeon you can find and then, if you need it, get the most affordable financing you can.